Acute Creedite crystals with very well defined faces and edges. 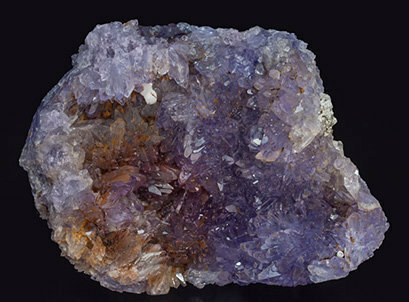 They are transparent, very bright, with an intense and uniform violet color and, in some areas on the sample there are reddish Hematite inclusions. The sample is from the famous cavity opened at Santa Eulalia in 1984 that provided the best Creedite samples at the locality. The group is very rich in classic violet crystals so typical of this locality, with ochre zones caused by iron oxides. 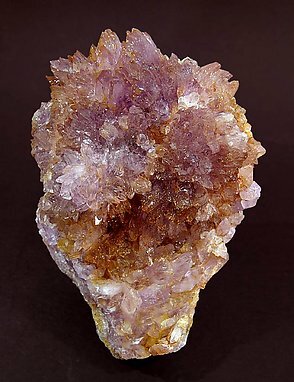 Nowadays it is very difficult to obtain Creedite from Santa Eulalia.